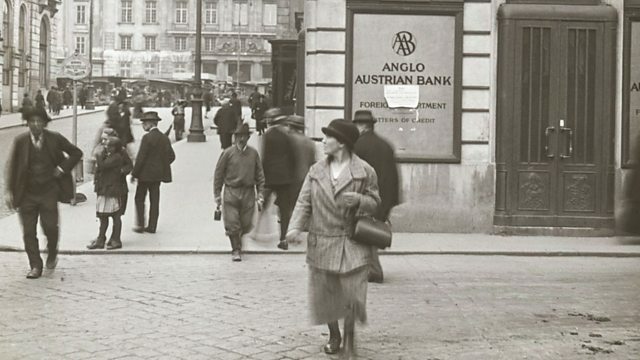 Bethany Bell, the BBC's Vienna correspondent, evokes the public face of Austria-Hungary's capital and the tensions which underlay its multi-national empire on the eve of WWI. As part of the Music on the Brink season, each programme in this series of "The Essay" considers the special character of Vienna, Paris, Berlin, St. Petersburg and London. Stepping back exactly a hundred years, five BBC News correspondents present personal perspectives on the capital cities of the major European powers that, later in 1914, would face each other in the Great War. We start in the capital of the Habsburg Empire and the rich multiculturalism of Mitteleuropa. In this programme, Bethany Bell, the BBC's Vienna Correspondent, evokes both the public face of Austria-Hungary's capital and the simmering tensions which underlay its multi-national empire on the eve of the greatest conflagration the world had yet seen. Taking us on a richly evocative tour of the embodiment of Mitteleuropa, she tells us about a world that was soon to be torn asunder but of which telling - and not always attractive - elements remain. It is all too easy to forget, she reminds us, that within months Vienna was home to Adolf Hitler, Joseph Stalin, Leon Trotsky, Siegmund Freud and Josef Broz (later Marshal Tito) - all figures who defined the twentieth century. She also discusses the critic and satirist Karl Kraus and the controversial pre-World War One mayor of Vienna Karl Lueger. For the multiple nationalities of 1914 Vienna, the chronic tensions which bedevilled this polyglot empire were painfully familiar. The programme reveals what has survived to this day of the compromised nature of Vienna from the era of Zemlinsky and Schreker and of Schoenberg, Webern and Berg.